Never being one who’s afraid to wade full-force into the handheld fray, Tom, I’ll go ahead and say it: if you’re not going to hook up a console (which I think is a perfectly acceptable position, by the way) I’d stick with the DS. We spent quite a bit of time on the site dissecting the 3DS’s price point, tech and whether it was worth the cash. Ultimately (and particularly if you have a serviceable DS): No. Nintendo cranked out a few very cool looking games to showcase their glasses-less 3D but the trickle of 3D-specific games has been problematic. In addition (and despite the price drop) Nintendo has some control pad problems requiring an after-market fix (rumors tend to indicate it may be partially due to Vita envy) that makes the previously svelte handheld more in line with a brick. Transforming your 3DS from pocket entertainment to “Man, I need a backpack” in one easy step. I have some personal experience in this, as my 5 year-old son has a Nintendo DS XL, and probably has almost as many games in total as I do, thanks to his grandmother. 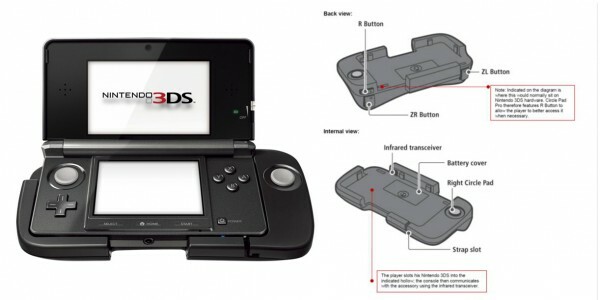 Some people speculated we’d see the end of the DS when the 3DS arrived, and that’s simply not true. They’re still coming out with some new games for the DS, and some of them are quite good. I actually disagree with Justin in this case. I think it may be time to consider the 3DS as a new handheld device. Judging by your son’s tastes, which include Mario, the New Super Mario Bros. 2 is going to be released in August and will not be available on the DS. This makes me think that if those are the games your child enjoys (and it’s okay if you enjoy them, too) the 3DS may be the next logical step. The games for the DS will start to slow down, and in some cases they already have, and the 3DS will keep trucking along for some time. 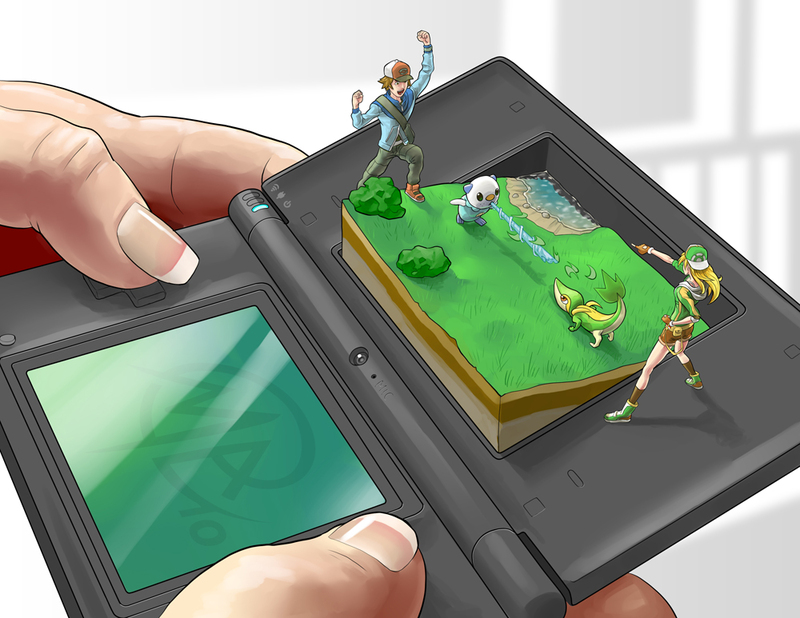 This doesn’t mean you need to give up your DS entirely though. Keep those games as long as you enjoy them. 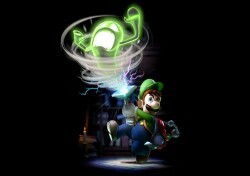 Hopefully, Nintendo leaves out the part about Luigi being dead the whole time in this sequel. Another important note is the 3DS can have the 3D technology suppressed or turned off entirely, which will make it a little easier on your son’s developing eyes. The price drops and increased library of games is giving this handheld a higher value proposition. If you don’t have an issue shelling out $150 I’d say get a 3DS. Not only will this open you up to all the former DS games (the machine is backwards compatible), you’ll still have the opportunity to play the new games. Don’t forget about all the virtual console games as well as the eShop. There are some interesting things happening in that space that more than warrants a 3DS purchase. The 3D aspect shouldn’t matter…because it doesn’t. I’ll admit that I’m no longer Nintendo’s biggest fan, which doesn’t render me incapable of offering advice, but it does make mine tend towards the critical. I think Brandon and Cole raise some very good points and, with their more relevant experience, they’re probably the better people to listen to. Still, the one thing that concerns me the most is the enormous peripheral control pad – while the 3D tech is cool, this was a product that was rushed to market and Nintendo has yet to offer a “fix” that doesn’t make the minimalist engineers over at Apple grind their molars into dust when they think about it. That said – ignore me. Brandon and Cole are right. I’m just here for the popcorn. Keep in mind that, though the peripheral might be helpful in a few games, as of today it’s not necessary for any of them. And while the upcoming 3DS XL’s size might make it more comfortable for people with large hands, the normal-sized 3DS, with or without the Circle-pad Pro, is a great size for kids. Justin is correct in that the peripherals and user-friendliness are not on par with some of the technology coming down the pipe. So, it comes down to how comfortable you feel your son would be with the 3DS. More 3DS games are coming: Check. DS games are slowing down in terms of production: Check. The 3DS controls are not as friendly as the DS: Could be a problem. What I recommend is perusing your local game store and looking for a display with the 3DS that you can play. Have your son give it a go, and then give it a go yourself. If you find that you like it and your son can handle it, then I think you know what you want to do this holiday season. Despite Justin’s crotchetyness, Brandon and Cole’s advice is what you should be paying attention to this time. As you mentioned Christmas is a ways off, so you’ll have time to look into the 3DS at your local retailers. If you bring your son along, don’t forget to plant the seed in his developing mind that he might get a 3DS for Christmas if he’s good. This is a parenting tool that we recommend you overuse like the Konami Code until it’s time for the jolly old fat man to make an appearance. Just Ask – Questions from the community answered thoughtfully by our writing staff and guests. Submit your own questions. Gaming Lifestyle – The true stories of how we play video games and how it can effect our daily lives. The Cursed - brought to you by the staff and community of Horrible Night.